The moment I held one in my hand I knew that I'd never go back to spin-casting or bait-casting again. And when I hooked my first fish, wow, what a difference. I could actually "feel" the fish's every movement. But getting the right rod is a daunting task. Whether you buy a two piece rod like the Thomas & Thomas LPS pictured above or the March Brown 7-piece travel series rod pictured to the right or something in between, will be determined by what you read on web sites like this, hear from other fly fishers, or even more importantly, hold and cast yourself. Please bear in mind that we sell discount fly fishing rods, not poor quality rods at a discount. We want happy fly fishermen. The last point is why all our discount fly fishing rods have a money back guarantee. If you are happy with your purchase, great. If not, return it for another or your money back. Please click on the FLY FISHING ROD CHART for assistance in picking the right discount fly fishing rod for your intended purpose. What exactly is a fly fishing rod? Fly Fishing rods are designed to cast an imitation/artificial fly, usually consisting of a hook tied with various materials like foam or fur, etc. Way,way back in ancient times fly rods were made of yew, green hart, and later split bamboo Tonkin cane - being the primo cane from the Tonkin region of China. Today, most modern fly rods are either hand-constructed from bamboo or manufactured from man-made composite materials, including fiberglass, graphite, or graphite mixed with other composites such as boron or titanium. 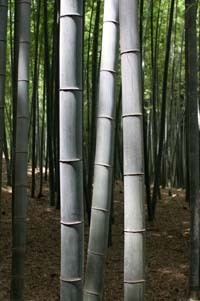 Please watch the videos on BAMBOO ROD MAKING and GRAPHITE ROD MAKING for a visual look into the processes. Do you know the parts of a fly fishing rod? TAKE OUR FLY FISHING ROD PARTS QUIZ. A rod is sized to the species of fish being sought, the wind and water conditions and also to a particular weight of line. Instead of a weighted lure, a fly rod uses the weight of the fly line for casting. Heavier lines will cast heavier, larger flies. Lighter lines will cast lighter, smaller flies. Fly rods come in a variety of line sizes ("weights"), from #0 for casting and catching the smallest freshwater trout and pan fish up to a #15 rod for large saltwater game fish. with a number of smaller looped guides known as snake guides spaced along the rod to help control the movement of the fly line. Most fly rods have a little (handle) extending below the fishing reel. However, a fly rod known as a spey rod has an elongated rear handle, and is often used for casting to fish such as salmon and steelhead in large rivers or saltwater surf casting. Spey rods normally require a two-handed casting technique. Although many fly rods are still crafted by masters of the trade out of Tonkin bamboo, most fly rods are built using carbon graphite materials. 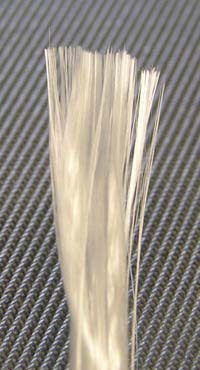 The graphite fibers are laid down in patterns to keep the rod from flattening when stressed (this is what is known as hoop strength) The rod tapers from end to end and the degree of taper determines how much of the rod will flex when stressed. Larger amounts of rod flex equate to slower rods. Slower rods are easier to cast (especially for the beginner). Unfortunately they also create a wider loop on the forward cast that reduces casting distance and is subject to the effects of wind. Medium flex rods are still easy to cast and load for tighter loops (of course the method employed during the cast will have a great impact on the loop as well). I personally use a medium flex graphite rod because most fish that I cast to are no more than 30 feet away. 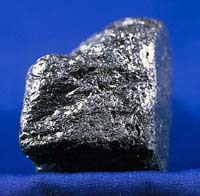 Many manufacturers are integrating boron, titanium, and other man-made materials into their graphite to produce a very light rod with a fast action. This permits long tight looped casts with minimal effort. These fast action rods still take quite a bit of getting used to and are normally used when casting fish at greater distances (say over 60 feet). There are two caveats to keep in mind: 1) it's very hard to see a fish at 60 feet and 2) your typical fish can detect and spit out the fly within 1/10 of a second. Unless you are extremely good with a fly rod and you can react extremely fast, you are not going to catch that fish. Therefore, for the average fisherman I recommend the medium or medium to fast action rod. Manufacturers do not make discount fly fishing rods. They make rods that are sold to retailers who then have the choice of re-selling them at retail prices or selling them at reduced prices as discount fly fishing rods. I have compiled a list of wholesale manufacturers of graphite fly rods. The list is in alphabetical order and therefore not intended as a recommendation of one company over another. It is simply a list of those rod makers that I believe are reputable. If you would like further information on any company on this list or about a company that is not on this list, I invite you to email me and I will do my utmost to research your questions and reply quickly. 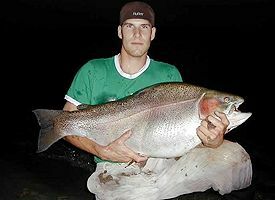 He may target trophy rainbow trout, but even Adam Konrad of Saskatoon, Saskatchewan, had to say, "Wow," after landing this 43.6-pound pending world record at Lake Diefenbaker. WANT A DISCOUNT COUPON? Just click the " Online Fly Shop" bar and sign up for a free account. You will receive a coupon worth 10% off your next purchase. We take discounting seriously.